Discussion in 'Family Chat' started by Jen, Apr 24, 2015. 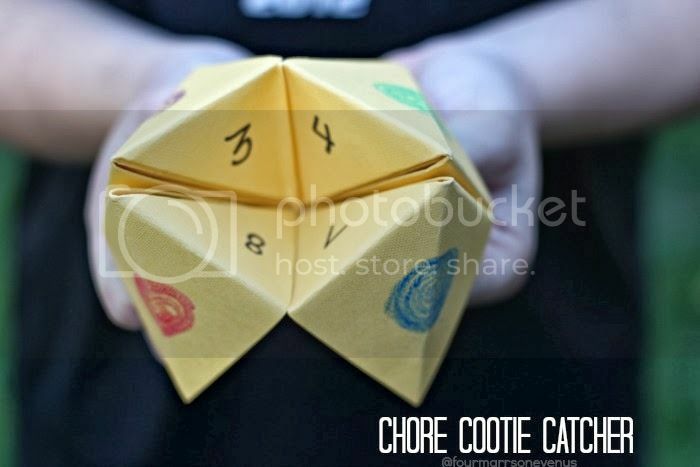 Nope, we created the fun way to do chores: a Chore Cootie Catcher! 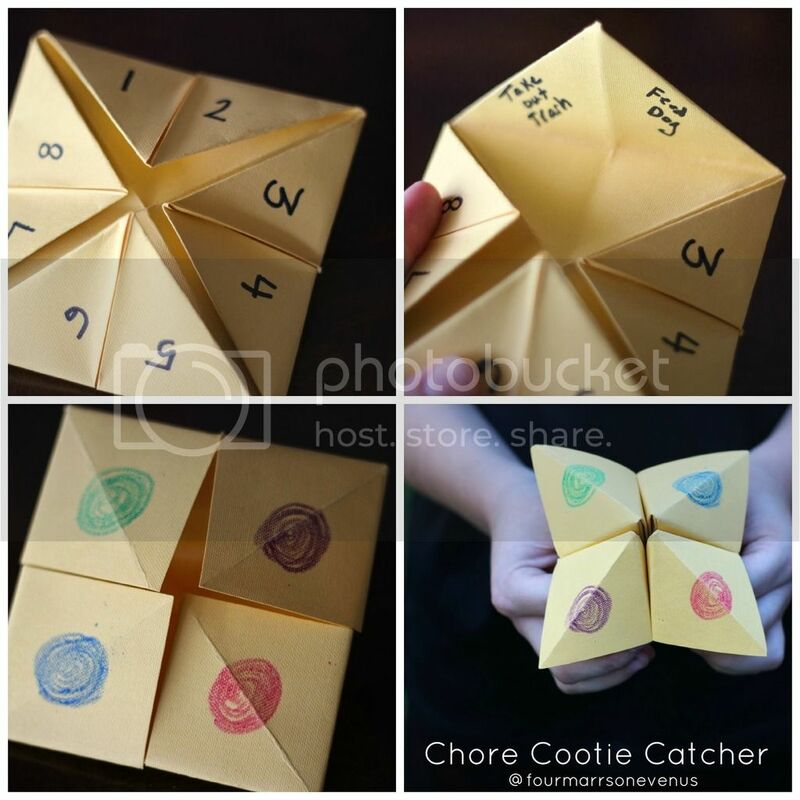 Bring the fun factor back into the chores by taking a piece of paper and folding it into a standard cootie catcher. You will then write the numbers 1-8 on the top flaps. Then put your chores on the underside of the numbers. Turn your cootie catcher over, color each flap a different color.